Richmond Tigers New Era 59Fifty Cap Size 7 7/8 - As New Condition. Free postage. Trending at AU $39.21eBay determines this price through a machine-learned model of the product's sale prices within the last 90 days. Logo: Collingwood Magpies logo with New Era stitched logo on side front panel. Fly your own flag with the new 2019 curved brim baseball cap from New Era. Underside of Brim Colour: Black. Aqua Footwear. Logo: Hawthorn Hawks logo with New Era stitched logo on side front panel. Fly your own flag with the new 2019 curved brim baseball cap from New Era. Underside of Brim Colour: Walnut. Colour: Walnut with Gold Accents. Logo: Richmond Tigers logo with New Era stitched logo on side front panel. Fly your own flag with the new 2019 curved brim baseball cap from New Era. Underside of Brim Colour: Black. Aqua Footwear. Style:6-panel velcro adjustable cap, with a high structured crown. Logo: Adelaide Crows logo with New Era stitched logo on side front panel. Fly your own flag with the new 2019 curved brim baseball cap from New Era. Underside of Brim Colour: Navy. Aqua Footwear. 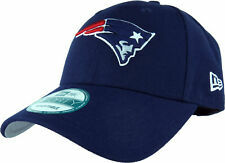 Style:6-panel velcro adjustable cap, with a high structured crown. Logo: Essendon Bombers logo with New Era stitched logo on side front panel. Fly your own flag with the new 2019 curved brim baseball cap from New Era. Underside of Brim Colour: Red. Aqua Footwear. Size: Youth. Classic New Era MLB Snapback Hat. MLB Authenticity Sticker Under the Brim. New Era Embroidered graphics on the Side. Grey Colorway Underneath Brim of Hat. Navy Snap Closure. Material: 100 % Polyester. High Profile, Classic NBA 2Tone Navy Red Cap. Classic New Era NBA Snapback Hat. Grey Colorway Underneath Brim of Hat. New Era Embroidered side Logo. Most orders will Require adult signature. Red Color Snap Closure. Classic New Era 950 NBA Snapback Hat. High Profile, Shiny Polished Front Logo & Visor. 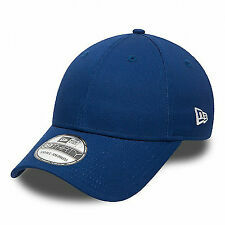 Material:100% polyester Cap / 100% P.U visor. NBA Authenticity Sticker Under the Brim. Grey Colorway Underneath Brim of Hat. New Era 9Forty Detroit Tigers The League Adjustable Baseball Cap.Dark Navy with the Detroit Tigers front logo,the N ew Era side logo, and the Tigers rea r strap logo. Style Baseball Cap. The cap has an adjustable rear velcro strap. 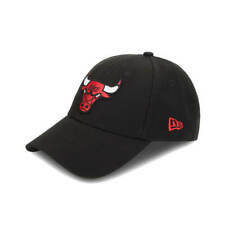 Classic NBA Snapback Hat. NBA Authenticity Sticker Under the Brim. Grey Colorway Underneath Brim of Hat. Raised Embroidered Front Logo. Most orders will Require adult signature. Generally Fit up to 7 3/4's (Fitted Size). Custom Pattern NBA Snapback Hat. High Profile, matches Air Jordan 12 Retro Wool. NBA Authenticity Sticker Under the Brim. Black Colorway Underneath Brim of Hat. Material: 100% Polyester. Most orders will Require adult signature.